Under the invitations of People’s Friendship University of Russia, Petrozavodsk State University of Russia and Petrozavodsk State Glazunov Conservatory, a delegation from Jinggangshan University led by president Zhang Taicheng, visited Russia for educational cooperation and exchange. Members of the delegation include deans of School of Art, School of Politics and Laws, School of Training and International School. The delegation met with the rectors and deans of three universities and signed cooperation agreements, framework agreement for scientific research as well as educational and cultural exchange, which has significantly strengthened our ties with universities in Russia and laid solid foundation for further cooperation. On March.23rd, President Zhang met, vice-rector of People’s Friendship University of Russia Syulkova, director of Economics Department Professor Makaya, director of East Asia Affairs Office from International Department Asole, and had a profound discussion on the joint education of undergraduate, postgraduate, scholar visit and academic exchange in such majors as Economics, Management and Laws & Society Studies. President Zhang had a brief introduction to Jinggangshan University, concluding that our two universities share a lot of similarities in history, characteristics, majors and talent cultivation. He also stressed that we attached great importance to our cooperative relations with People’s Friendship University of Russia. Syulkova briefly introduced the current status of People’s Friendship University of Russia and expressed his hope to expand exchange and cooperation with Jinggangshan University. After the talk, the two Universities signed cooperative agreement. The delegation then visited the Economics Department and the Students’ Cafeteria. People’s Friendship University of Russia, ranked the third-best university in Russia and the second-best university in terms of faculty quality. 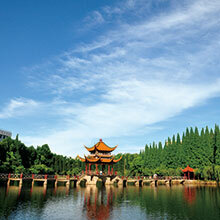 As a pioneering university dedicated in researching international relations and world culture, it is renowned as the “cradle of world politicians”. 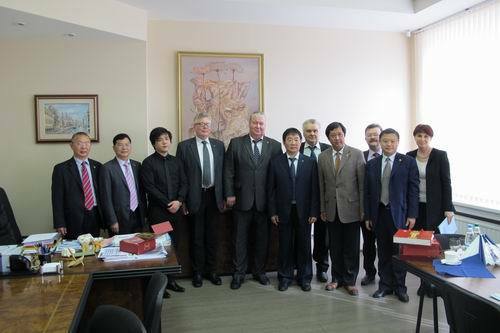 On the morning of March 24th, the delegation led by Zhang visited Petrozavodsk State University and met with rector Anatoly V. Voronin, honorable rector and legal representative Victor, vice-rector Konstantin and director of Institute of International Programs Kulikovskaya, and conducted a profound discussion with them. President Zhang introduced our advantages, history and characteristics, and expressed our willingness to maintain close cooperative ties with Petrozavodsk State University. 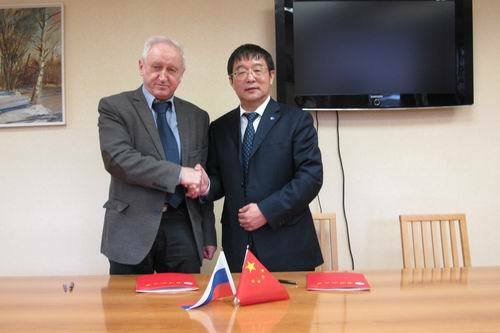 Voronin briefly introduced Petrozavodsk State University and said he expected to conduct more extensive collaboration with Jinggangshan University. After the talk, the presidents of the two universities signed framework agreement in scientific research and educational & cultural exchange and exchanged souvenirs. Accompanied by vice-rector Konstantin, the delegation visited the library and the most advanced automatic system information processing center and later watched student’s operation in simulative lab. In the afternoon, at Petrozavodsk State Glazunov Conservatory, President Zhang met with Culture Minister of Republic of Karelia Antonina, Principle of Petrozavodsk State Glazunov Conservatory and honored artist of Karelia and Russia Vladimir Solovyev, vice-rector for education VictorBarletroy and vice-rector of Foreign Affairs Department Wu Ying. Zhang had a brief introduction of music education in Jinggangshan University and said we were ready to conduct joint education, academic exchange and performance exchange. Antonina introduced the general situation of the Conservatory and stressed that Petrozavodsk State Glazunov Conservatory ranked third among 13 state conservatories and took a leading position in teaching level in Russia. After the talk, Zhang Taicheng and Vladimir Solovyev signed a framework Agreement, which has initially confirmed the “1+4” cooperative model and cooperation plan of sending vocal music, piano foreign teachers and artists to Jinggangshan University to conduct art exchange and performance.